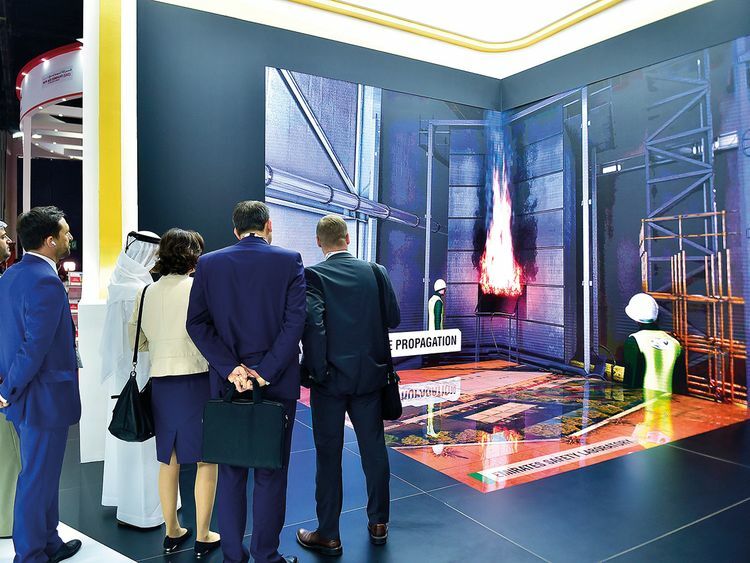 Dubai: The first government-controlled engineering laboratory in the Middle East will be launched in the UAE this year to focus on fire safety, a senior official said on Sunday. Speaking at Intersec, the ongoing trade show for security, safety and fire protection in Dubai, Colonel Ali Al Mutawa, assistant director general for protection and safety at Dubai Civil Defence, said Emirates Safety Laboratory will be launched in June this year, to provide testing, inspection and certification solutions to the construction industry. “The new laboratory will be located at Warsan. It will perform fire safety testing and fire performance assessment of various products, building materials and systems," Col Al Mutawa told Gulf News. Suppliers can test the products in the government lab to get an accreditation certificate. Our aim is to get the best fire-resistant materials, whether it is a door or cladding, and approve installation,” he added. All UAE-based suppliers in the construction industry will have to get their products tested here. He said suppliers who have certificates for the materials from outside the country can expect collection of random samples of the products to be tested in the lab. However, factories which produce such materials within the UAE should get an accreditation certificate from the Emirates Safety Lab. Col Al Mutawa said the aim is to help all stakeholders to navigate market risks and improve fire safety standards in the region. “Our team of experts has extensive experience in fields such as fire resistance testing with loading, reaction to fire and façade testing. We will have Emirati skilled employees to work in the lab in the coming three years,” he said. What will the lab test? UAE Fire and Life Safety Code’s new revisions have stipulated strict new building standards to ensure the highest levels of safety. All buildings and homes across the UAE will be equipped with the new smart system of fire prevention mechanism. All buildings are required to have sprinklers, alarm systems, fire extinguishers and other safety equipment to prevent a fire. The new code aims at preventing, or minimising the spread of a fire, loss of life and damage to properties. It also outlines the obligations of contractors, consultants, developers, unit owners and tenants.